When it comes to fighting wrinkles, we usually rely on anti-aging skin care products and cosmetic treatments. 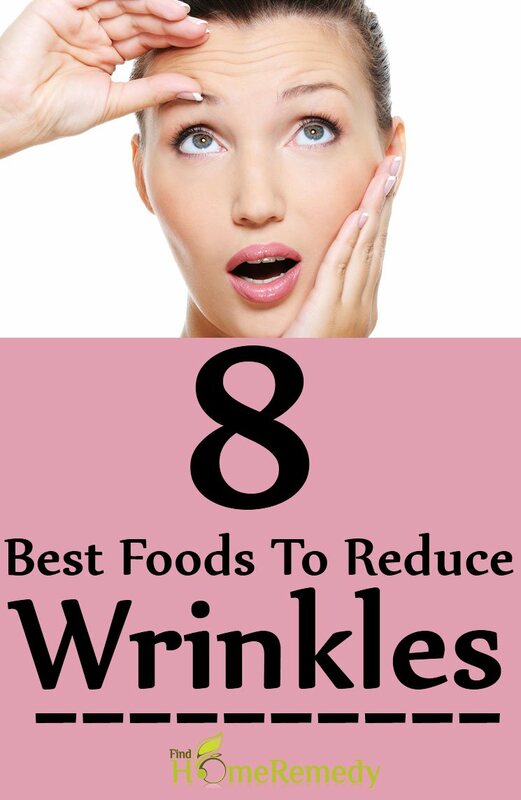 However, we tend to ignore the role of foods in delaying appearance of wrinkles. Unhealthy diet and lifestyle are often blamed for speeding up skin aging. Healthy foods rich in nutrients that help in keeping the skin elastic help in maintaining the youthful appearance of your skin for a longer time. Premature wrinkling of the skin can be easily averted by eating foods that keep the skin plump. To reduce appearance of fine lines and wrinkles, here is a list of foods that you should add to your diet. 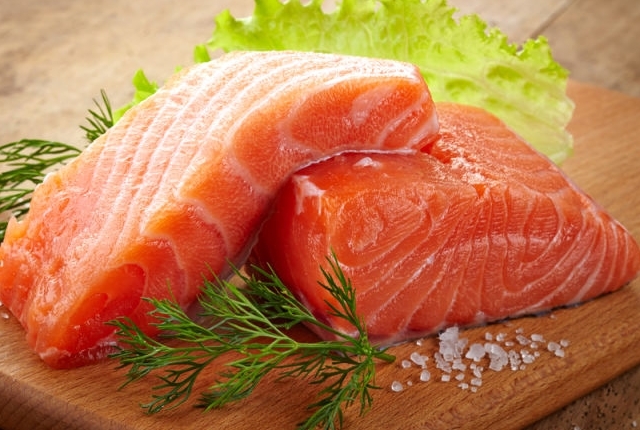 Salmon is one of the best known beauty foods that help in maintaining the elasticity of your skin. The omega-3 fats found in the cold water oily fish helps in keeping the skin supple and smooth. The essential fatty acids are also known for their anti-inflammatory property. By reducing inflammation at the cellular level, they help in diminishing damage to the skin cells, thereby keeping the skin firm. Flaxseeds are another good source of omega-3 fatty acid that helps in fighting wrinkles. 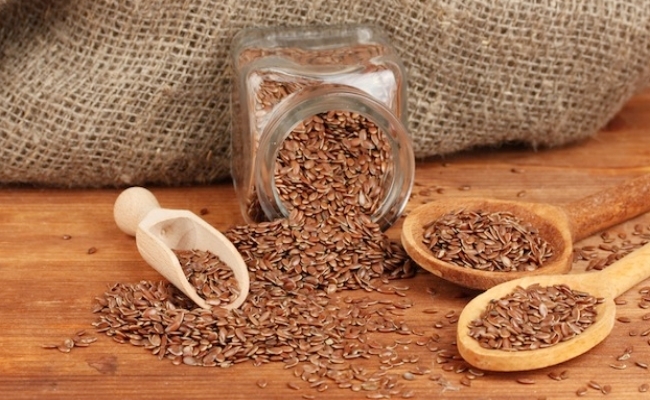 Alpha linoleic acid found in flaxseeds works as an antioxidant in the skin. By resisting inflammation and free radical induced cell damage, flaxseeds help in delaying appearance of wrinkles. Furthermore, flaxseeds help in maintaining the hormonal balance in women. As wrinkling is associated with hormonal changes, flaxseeds can help in improving the skin health. Sweet potato is an excellent source of beta-carotene, a vitamin A precursor. It is a powerful antioxidant that helps in keeping the skin plump. 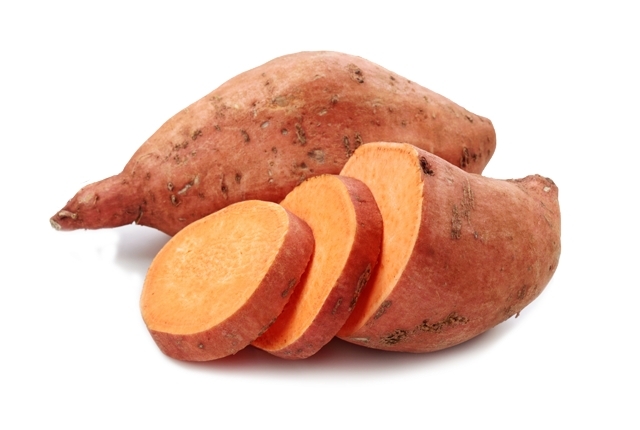 To get smoother and softer skin naturally, add sweet potato to your diet. 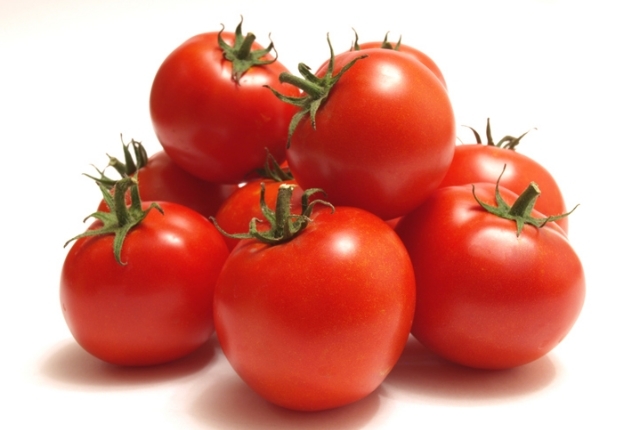 Tomato is another beta carotene rich food you can add to your anti-wrinkle diet. Beta-carotene is converted into vitamin A, a nutrient essential for development of new skin cells. By supporting skin rejuvenation, it helps in keeping the skin young. Furthermore, your skin retains its natural strength with the help of vitamin A. A strong skin is least likely to wrinkle. Because of its high water content, tomatoes help in keeping the skin hydrated and plump. 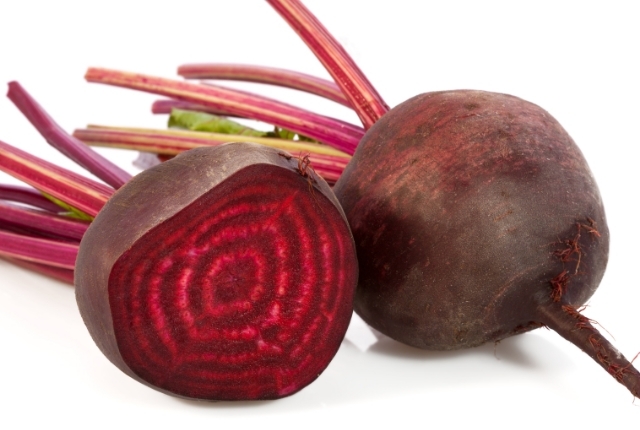 Beetroot is also known for its anti-wrinkle property. It contains anthocyanins that give the vegetable its red color and other antioxidants that promote collagen synthesis in the skin. The fiber rich vegetable is a low calorie food that can easily become an important component of your healthy anti-wrinkle diet. 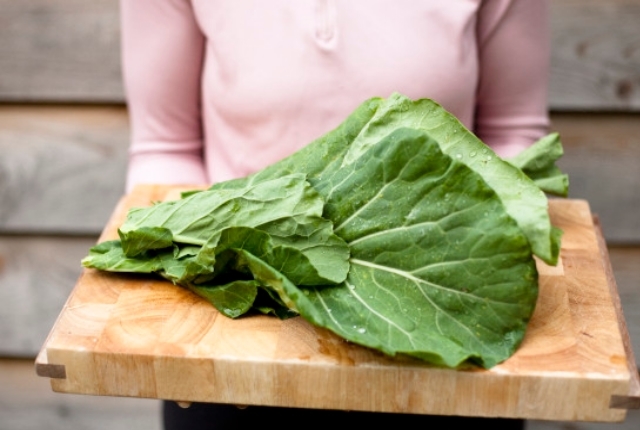 To reduce wrinkles, eat sufficient amount of green leafy vegetables such as spinach, kale, wheatgrass and mustard greens. They are rich in lutein and other antioxidants that are known to help in slowing down skin aging. Ideally, you need to consume four ounces of leafy greens to get sufficient amount of antioxidants to keep the skin hydrated and elastic. Strawberries are rich in vitamin C that supports collagen production in the skin. It is also rich in B vitamins, vitamin K and antioxidants that help in maintaining the elasticity of the skin. 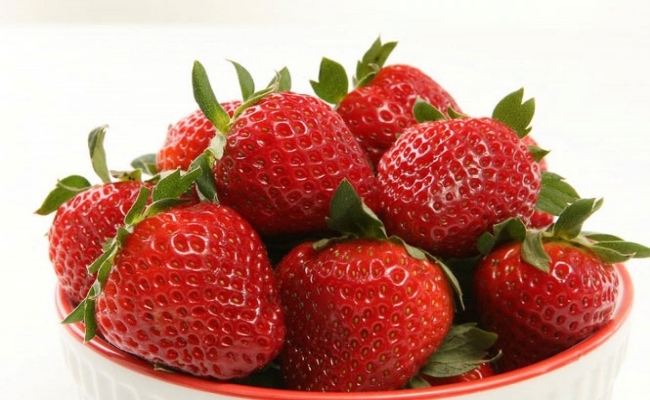 Strawberries help in reducing the dryness of the skin. 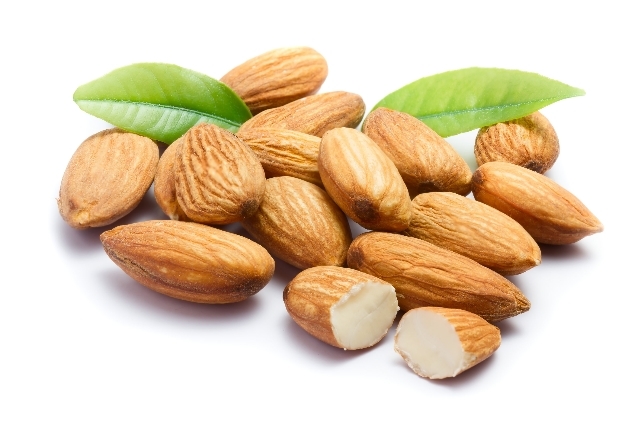 Almond is an excellent wrinkle fighting food. To slow down wrinkling of the skin, eat almonds with the skin because the skin has the highest concentration of antioxidant compounds that are good for your skin. Moreover, almonds are good sources of omega-3 fatty acids and vitamin E. All these nutrients work together to reduce skin cell damage.